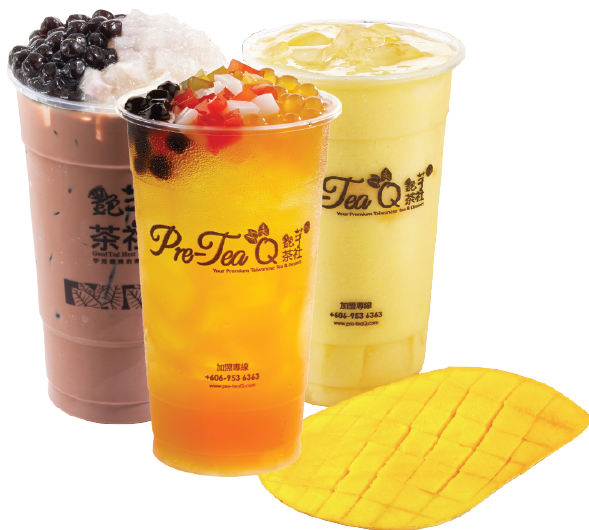 Different from the general beverage and dessert, what Pre-Tea Q brings you is the combinations of aroma, taste and quality. In order to present a cup a tea with fragrances, we persist to use hand picked and mixed tea, use water have been filter three to four times, at any cost, to ensure the tea is filled with aroma and meet ours standard at the same time. Moreover, we also carefully selected fine and plump taro and sweet potatoes to enrich Yam Q and Sweet Potato Q with rich aroma and taste. Look forward to this fusion of tradition and innovation, elaborate and unique good taste, savor together with you, leaving sweet memories.